Georgina Ramsay (PhD, University of Newcastle, Australia, 2016) is a Professor in the Department of Anthropology at the University of Delaware and an Honorary Lecturer with the Department of Anthropology at Macquarie University in Australia. Her research areas include: refugees and forced migration; Central Africa and African diaspora; citizenship and sovereignty; gender and motherhood; violence and humanitarianism; development and human rights. Dr. Ramsay has published extensively across academic and public mediums. Her book, Impossible Refuge: The Control and Constraint of Refugee Futures, is due to be published in November 2017 (Routledge). 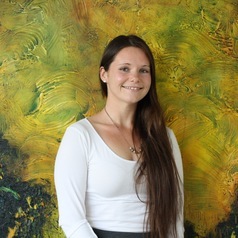 Her research has been published in the journals Public Culture, Anthropological Quarterly, Political and Legal Anthropology Review, Social Analysis, International Migration, Australian Feminist Studies, Journal of Intercultural Studies, and Higher Education Review and Development Society of Australasia.